normal maching is one answer but the energy of sound is something i have wondered about also, i suppose since reading the Dune books! the Dorje in standard EU Theory represents the gods thunderbolts but why would we not copy the gods weapons and natural power? "Live the Horus: Wosretkew; Favorite of the Two Goddesses; Fresh in Years; Golden Horus: Divine of Diadems; splendid part of her father, Amon-Re, lord of heaven, who has not been far removed from the father of all gods, shining in brightness like the Horizon-God she illuminates like the sun, vivifying the hearts of the people, who is exalted in name so that it hath reached heaven (ibid 137)." It's not so much as dissolve , more akin to local orientation of each finite point to that of space, thus instant no-thing, not nothing, no-thing, no local re-orientation of each point to thus coalesce with surrounding points field shapes to create an atom of whatever. Thus from the sea of ONE, all things are possible, every finite point can be anything. If You can imagine a field that adjoins with many others in specific orientations to thus create what we call an atom, the orientations of these been geometrically specific to whatever element that atom is, yes they can be re-orientated by strong local fields and thus transmute into other elements, but the base neutral orientation is that of space. Compound vast stresses in this neutral orientation will be birkeland flows where opposite spin spirals circum navigate each other as they are attracted and repulsed across space. As they meet say this planet they will encounter the overall local field relative to this planet, they will thus feed into and maintain this as long as they are from all directions around the sphere in a balanced enough manner to sustain this. If a sudden over powering surge occurs then the very overall pattern of the planets field may morph , and that morph will ripple inwards to all scale, each and every atom could morph instantly into say stone??? Does the Eye of Horus now take on a different meaning? Protecting, guarding those it looks over. Also does it show the God King planet on the horizon or in the different sky they had back then in regards to the dust belt etc? "Mysterious One who gives birth to the divine entities..."
"You from whom the Divine Entities come forth..."
Hathors name translation is "house of the kings". Pharaohs/Kings title is "son of Hathor". ** Hathor image of cow, sycamore fig tree (exudes white milk liquid and band spread across the sky) and if women image then with cow ears. ** Hathor nurses/suckles the Pharaohs / God Kings / Planets. Hathor never suckles Re. Sprites (upwards mega lightning) seen in or because of Hathor the band by the ancients? Saturns moon Prometheus suckling material from Saturns F ring. ** The objects that Hathor housed/suckled could be seen during the day but most likely not the band. Shown as housing the red sun. Could someone answer me this. Is the beetle found in the picture of the sycamore fig tree in the previous posting, the sacred beetle. If so, is this saying that the sycamore fig tree occurred at the time of this sacred beetle, which is when Mars, Earth and the Sun aligned ? Thus Hathor, which was a section of the sky, had lightning passing through it during this alignment. If this is what is depicted then what is the suckling all about ? The sycamore fig tree was likely seen in the south from Egypt, being an upward extension of the equator. I see a similarity between the V at the base of the tree, and the jaw of Hathor on the left. Now maybe a band or ring of material was closer to Earth's equator than the other rings of Hathor. The ionosphere at present has such a division. This band might have been low to the horizon viewed from Egypt. The V comes from the perspective of depicting this band extending across the whole sky from East to West. Thus the point of the V is looking directly south whilst the ends of the V are east and west. Then the sucking pharaoh is in the east, and hence he would be Mars with material appearing to come from or to Mars. The ears of the cow of Hathor in the left picture would then be east and west. So the sycamore fig tree depicts the alignment of Mars, Earth and the Sun, and the lightning that occurred at that time. I would recommend reading through this link. Mo, yes it is the Khepri beetle. It forms the throne name of Tuthmosis - Men-Kheper-Re which means “lasting is the manifestation of Re.” I associate Tuthmosis as one of the many guises of the Moon (Tuthmosis = “born of Thoth”) and as the Moon/Tuthmosis also many times appeared red like the Sun, the Egyptians gave it the very apt “manifestation of Re” title. Tutankhamun/Mars would have a similar ‘appearing like the Sun’ name i.e. Neb-Khepru-Re meaning “the lordly manifestation of the sun.” Many other kings were understandably given similar titles. Names and titles are very important as they in effect reveal the attributes, actions and sometimes the location of the astral god kings. For example, if the king is show worshiping the god Re-Horakhty (“Horus in the horizon”), then the king most probably appeared "in" the horizon, hence the veneration. The three main ‘warrior’ kings Mars, Mercury and the Moon would many times invoke the Khepri beetle as they danced with earth. Especially the Moon as it fell under the electromagnetic and gravitational spell of earth. As a result, Khepri was strongly associated with rebirth, renewal, and resurrection. Scarab amulets were placed over the heart of the deceased during the mummification ritual. Interestingly, to my knowledge, none of the queens (Venus) names contain the Khepri beetle. This reveals that Queen Venus, as recorded in history, mainly appeared in the background as the beautiful and passive ‘great wife’ to the warrior kings. Venus never came close enough to manifest the beetle, or so it would seem. You could be right in regards to the sycamore tree; however as an illusion to Hathor I would place it somewhere along the fixed celestial equator, which could include slightly south of Egypt. Who knows exactly what was seen. I understand what you are saying with the V but it may just be they needed to draw an arm to steady the breast. 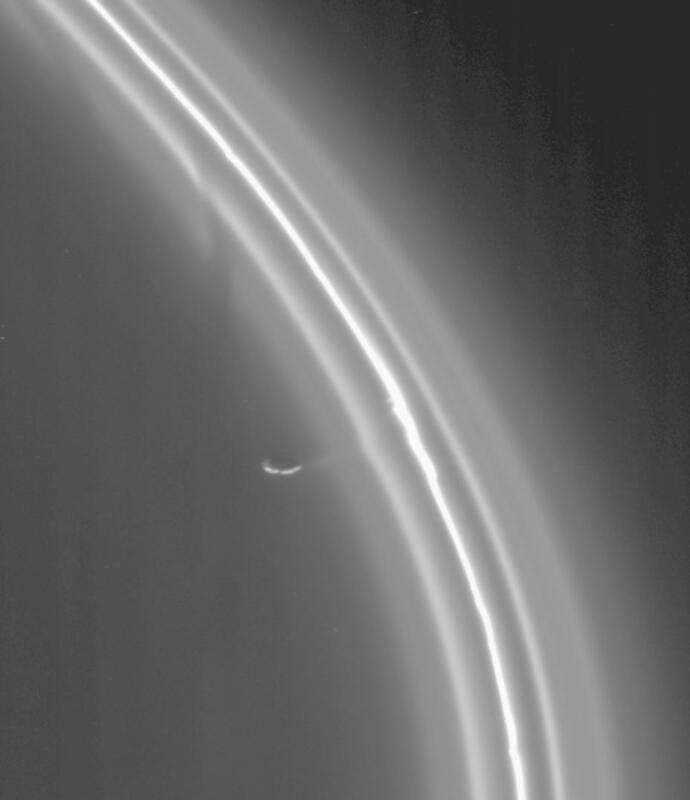 The suckling is the Moon ‘sucking’ material from earth’s rings similar to Saturn’s moon Prometheus sucking ‘milk’ from its F ring. http://photojournal.jpl.nasa.gov/jpegMod/PIA06143_modest.jpg Numerous bodies (doubles of Egyptians) were seen ‘sucking’ material (milk) from Hathor (earth's ring(s) hence the images of Hathor as a celestial cow in the very act of suckling the astral egyptians. I don’t see electricity in this particular scene although it is possible; the main theme of the scene is one of suckling. I mention this because I can show where discharges between planetary kings and earth (or at the very least lightning out into space) are clearly pictorially represented. I am referring to sprites and jets. Tombs and temple walls are literally plastered with images of such phenomena. In an attempt to bring a few EUers around to seriously considering my work I’m in the process of writing a small essay (loads of images) on this very subject. Kev, I have taken a look at your links, interesting, you could be right. I will investigate further. Tutankhamuns Pectoral of Kheper Scarab, Hathor and the "Dendra Light"? not sure about "Hathor - house of the king" image, as that was from another chapter but seemed to fit what GG was saying. also i dont fully get the V being that way up, i can imagine it the other way ^ , can you explain it again in a slightly different manner. i see what you are saying about a similar shape of the V in the tree and Hathors chin. In both talons it grasps the hieroglyphic sign shen and in one an open lily, in the other a lotus flower and buds. Bordering this motif on each side is a cobra with the sun's disk on its head and a long tail extending upwards to form an outer frame for the tops of the falcon wings. A band of blue and red disks stretches from one cobra to the other beneath the winged scarab. scarab of chalcedony to reflect the planets not the sun or the colour of the object in thethe Hathor ring? lots of connections or pathways of planets? Turquoise colour and also bands below the sacred scarab when they did not need to have those bands? Temple of Dendera in Egypt - ancient light/lamp or a band of dust in the sky with Electric Universe events? I use to wonder if this was an electric light, then found the EU and thought it may have something to do with plasma discharges and planets. Any thoughts on how this fit into the Comet Venus / Hathor / House of the Kings idea? The sycamore fig tree (Hathor) as a Tree of Life? Maltese Tree of Life - similar to Egyptian suckling Sycamore fig tree? "tree of life photographed in the palace of king sargonII at dur-sharrukin - assyrian / iraq"
Re: The sycamore fig tree (Hathor) as a Tree of Life? The central axis( tree trunk) vertical, with a cross feature( east/west and north/south), basically gives a universal schematic of creation imho. The east/west been the flow of time, with time been an actual flow. These orientations are not compass, but are relative to the local orientations of the field positions about a sphere that is created by the actions of a flowing time stream. The wings symbolise the field patterns, they are not wings as such. Every bud on a tree attracts it's opposite spin charges, thus creation occurs as the two spins adjoin and create whatever geometric resonance they are copying. To even better explain what I am on about, and to better comprehend the symbols left by the egyptians, think of how colours or patterns change relative to how many fine weaves are wound together. This is best seen in Maypole dancing, which demonstrates creation imho. the pattern weaved on the pole depends on the colour bands and widthjs of them and the routine that the dancers employ to twine onto the pole in spiral decreasing manner, and with opposite flows of circulations. then the overall colours and patterns achieved will vary symbiotically with whatever alterations are made. All of that is occuring to each and every planet and stars in isolation , and they all impart this into a cosmic dance routine. wondering what peoples thoughts are on this in relation to things already discussed? Another observation was that the amount of dust blowing in to the Solar System had increased substantially over the last few years, more than triple what it once was early in 1997. The Solar System is constantly bombarded by dust particles, but because the Sun's magnetic field is so strong, most of it is deflected around a zone shaped like an elongated bubble that extends outward well beyond the orbit of Pluto. However, the Sun goes through a cycle of electromagnetic fluctuation that lasts 22 years, so the force field is most likely reduced during times of low solar activity, allowing more charged particles to pass through. In fact, there are times when the Sun seems to funnel ionized interstellar dust along a localized region of increased electric current flow at the poles.